More than a century ago, Iran's Constitutional Revolution became the first movement in Asia to seek a modern social and political order centred around justice and the rule of law, inspired by a young generation engaging with the new ideologies of the modern era. A century later, the young and the educated in Iran are struggling for similar ideals while facing a new set of obstacles. 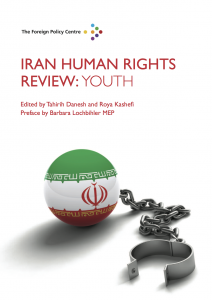 In this issue, we focus on faced by young people in Iran today.